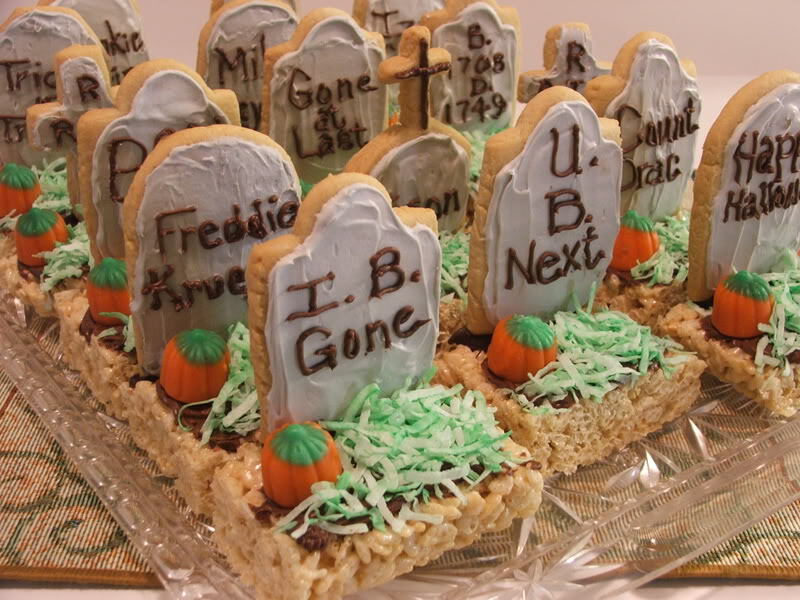 I saw on the food section of this site the Halloween cookies that looked like tombstones. I would like to know how they made these as there is no recipe on how to make them. If I had to guess, Debbie, I would say that the stone is a simple sugar cookie recipe, with either hand cut or cutter cut tombstones. Then ice them with some powdered sugar made icing and decorate. Use melted chocolate to stick them to the rice crispy treats, and to adhere the pumpkin to the treat. Probably shaved green chocolate for the grass. However, you could probably crumble some oreos in for the grass to make dirt.